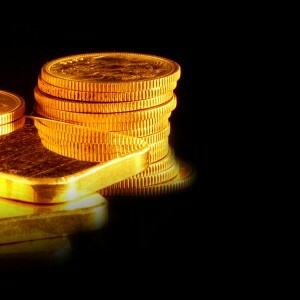 Gold-Backed IRA: How Is It Different? Whether you’ve decided on a gold IRA rollover or are starting your precious metals IRA from scratch, you’re to be commended on taking charge of your future. By putting some of your money in a precious metal IRA you’re diversifying, making sure not to keep all your eggs in one basket. So what are the major differences between having a traditional IRA and something like a gold-backed IRA? The metals exist – Unlike many intangible investments, the metals in a precious metals IRA exist. You’re not investing in “metals futures” or “metal companies.” The metals that you have invested in are purchased on your behalf and they are stored by a custodian. You can rest assured knowing that the silver, gold, palladium, or platinum in your precious metals IRA can’t just disappear tomorrow, unlike companies which can be bought out or go out of business..
You can have it – If you invest in Disney, do you have the option of taking that piece of Disney with you? Or if you invest in Exxon, do you get your dividends in oil? Of course not (and you probably wouldn’t want to!). While there would be federally-mandated penalties associated with early withdrawal, you have the option of claiming your metals and removing them from the IRA. It’s good to know that you have such a liquid option should you need it. We’ve done our absolute most to be one of the best gold IRA companies in existence. And we know we’re the easiest to work with. Start your gold-backed IRA or 401K to IRA rollover today.